“… These numbers reinforce the long-standing notion that male photographers receive better deals overall: including, but not limited to, assignments, wages, positions, and exposure. And it’s not even that women don’t make the effort. As the same study found, they do, in fact, do so more than their male peers: more of them are university educated, more engaged in social media, more versatile in terms of technology used, and more digitally savvy. 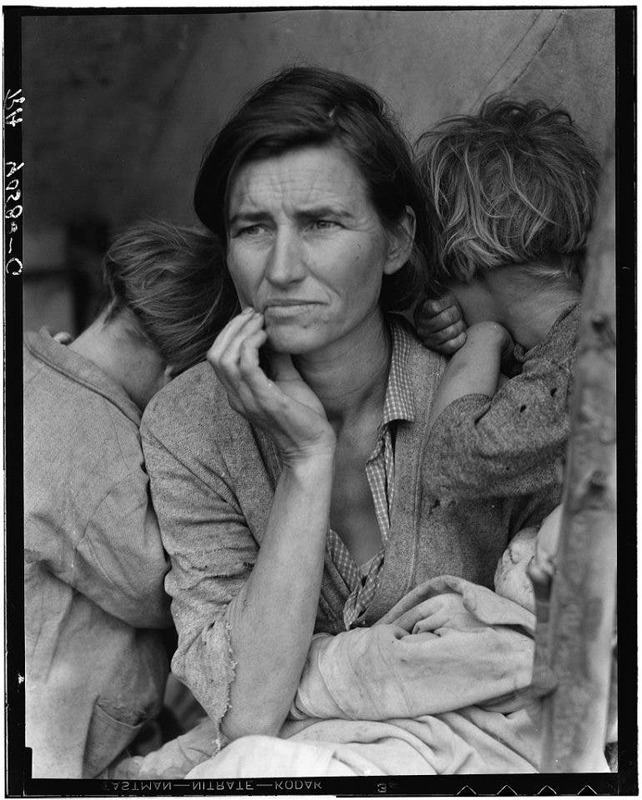 Image of Migrant Mother by renowned female photographer Dorothea Lange sourced from the Library of Congress’ Prints & Photographs Online Catalog (PPOC). Tish Murtha, one of Magnum photojournalist David Hurn’s first students at the famous School of Documentary Photography in Newport, Wales, in the 1970s, was one of the finest documentary photographers of her generation but, in the all-too-usual manner, was ignored by the photography establishment until recently thanks to the tireless efforts of her daughter Ella Murtha, The Photographers’ Gallery, Bluecoat Press, Café Royal Books and others. The course at The School of Documentary Photography was unique in Britain at the time and produced many fine photographers, a couple of whom later moved to Australia. Others went on to fame and fortune, while Tish Murtha seemed to have disappeared into the background after initial early successes and commissions, dying prematurely in 2013. Given the way female photographers have tended to be ignored and forgotten, it is wonderful to see that Tish Murtha is finally receiving the recognition that she deserved so much in her lifetime. Photograph from “Elswick Kids’ by the late, great British documentary photographer Tish Murtha. British Culture Archive – Elswick Kids | Tish Murtha’s Striking Images of Working Class Newcastle in the late 1970s.